According to sources close to The Verge, Microsoft is geared up to release a $99 Xbox + Kinect console package next week, which will charge a monthly subscription fee and include Xbox Live access, as well as additional extras. It’s no secret that cornering the living room entertainment hub market is high on the Redmond-based software maker’s agenda, and this move certainly emphasizes that. 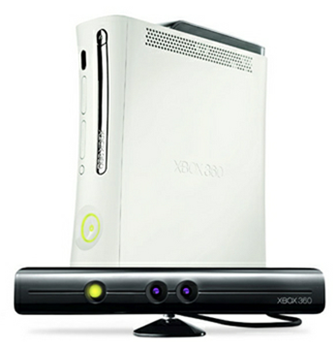 As well as a Kinect sensor, consumers will bag a 4GB Xbox 360 console along with Xbox LIVE Gold Membership – all for fifteen bucks a month. Considering the Gold Membership currently costs around $60 for the entire year, it certainly looks a sweet deal, and will surely entice an army of consumers looking for cheap entertainment. Of course, it’s edging towards the situation we currently have with mobile carriers, which principally, is bound to divide opinion. While paying a small fee monthly and less than $100 upfront is enticing initially, the contract is invariably the worse deal for the consumer, and although price-wise, the cost is nearly identical to the cheapest Xbox + LIVE Gold bundle, there’ll be an early termination fee for those who want to opt out before the end of the two years, and that, my friends, is where the money will be made. According to the report, the deal will only retail at Microsoft’s own stores throughout the United States (at least initially), meaning many would potentially miss out on the deal, although one suspects it won’t be too long before it gets put online. It’s likely that the package will also include some form of streaming content from the cable or sports package providers, and those who sign on the dotted line will be covered by warranty for the duration. It is presumed that the package will face-off the likes of Apple TV, Roku, and of course, Sony’s PlayStation 3, with which it has locked horns almost indefinitely over the last 5 years. I wonder, at the end of the two years, will Microsoft do the honorable thing and notify customers a month in advance so they can decide the next best course of action regarding online gaming / entertainment, or will the money continue to be debited until something is eventually said – sans the practice of AT&T and Co.? Leave your thoughts via the usual mediums below!